Clients are invariably astonished at the accuracy, insight and detail with which our career advisors assimilate the career and personal issues they face. You get to know yourself better, unearth dormant talents and qualities, have a better sense of direction, and as a result find the whole process a real confidence booster. Many organisations today offer careers advice and assessment, but with consultants of widely varying qualifications the majority of whom are not psychologists. Furthermore, nationally validated personality and aptitude assessments are expensive; as a result many firms rely on a restricted range of assessments. Other firms simply provide computer-generated assessment results without the essential interpretation by a qualified psychologist. 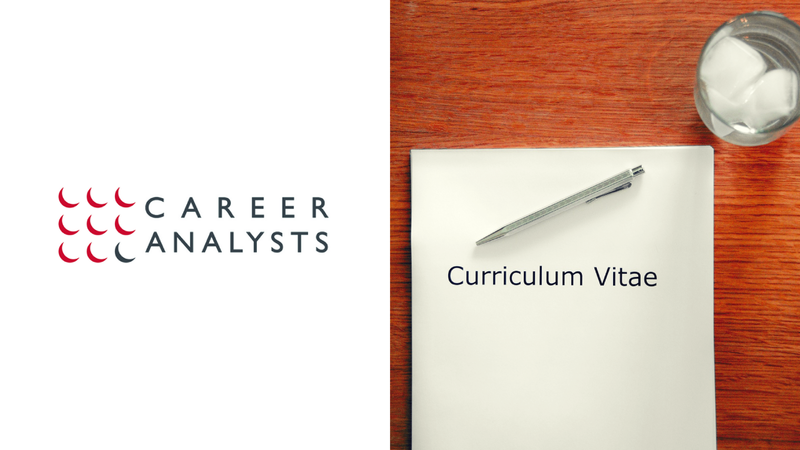 Career Analysts is one of the few career counselling services in the UK that combines counselling by fully qualified psychologists with an extensive range of cutting edge career test profiling and assessment techniques. Are you maximising your talents and abilities? We all should! Originally from Manchester, Leo Soloman has a wealth of experience in accounting, finance and management. His first directorship came in 1997 when he was appointed finance director of a film production company where his brief was to stem losses. He saw Career Analysts as an excellent opportunity to build upon a well-established name being given a whole new fresh breath of life. His wide experience will ensure the company's secure financial foundation and operational success. Sherridan Hughes is a Chartered Psychologist, Associate Member of the BPS, and Registered Health Professional specialised in career assessment, counselling and self-marketing - a proven career catalyst. She assesses for guidance, development, selection and outplacement. After previous lives in education, hospitality and leisure, Sherridan has been a career consultant for nearly 30 years (more than 25 at Career analysts) and has successfully helped literally thousands of people of all ages, occupational levels, and educational and social background. As a recognised expert, Sherridan is often quoted in the media. Jenny West After postgraduate study in Occupational Psychology, Jenny became the BBC's first Behavioural Scientist. She worked on organisational design projects in programme and service departments and conducted staff attitude surveys in departments as diverse as Make-Up and Radio Engineering. This work began her lifelong fascination with how people choose their careers. After the BBC, Jenny moved into Management Training and Development. As well as the UK, she has lived in Africa and the US and, since 1993, has focused on career counselling, working with people of all ages and abilities. Jenny has a particular interest in why people make 'wrong' career choices and the impact of parental pressure on career outcomes. Janet Newman is a Chartered Psychologist specialising in careers advice, executive selection and personal development. Her experience includes providing careers advice and executive coaching, designing and running assessment centres and training clients in psychometrics and other workplace skills,. She is also a trained counsellor with an earlier established career in HR, Sales and Customer-Service. Pamela Kingsland is a highly qualified and experienced occupational psychologist, trainer and executive coach and psychometric tester. A member of the British Psychological Society, she is also a founder member of the Association for Coaching. Her areas of specialism include management and staff development, including executive coaching, career counselling, design and delivery of assessment centres for recruitment and development, and design and delivery of training interventions. She is also a master practitioner in NLP. Elizabeth has a diverse career and educational background, with experience across a range of scientific and social science disciplines. She has worked in higher education and supports students up to PhD level who want to apply to study in the UK or abroad. Her multidisciplinary background and knowledge of the higher education sector helps her support students applying for a variety of courses and degree levels. She also provides academic mentoring and study skill development to support students who are either at university or who want to apply. Ioana is a consultant and coach who uses an evidence-based approach in her practice. She has two masters in psychology: an MSc in Cognitive Psychology and an MSc in Organisational Psychology. She is a Certified Workplace Coach with the Chartered Institute for Management and holds a Postgraduate Certificate in Coaching. She has an MA in Film History and a BA in Foreign Languages. My coaching style is about identifying client’s individual needs to develop a plan of action that is agreed and brought to life in collaboration with the coachee. Coaching is seen as providing personal resources to enact and maintain desired habits achieved through personal insight. In turn, such change has positive effects on work performance as well as on personal life. Domains: life-career development, goal setting, motivation and achievement. I am a Registered Member to the British Psychological Society and I adhere to their ethical guidelines. Mary holds a Masters in Organisational and Occupational Psychology, is a registered psychometric test user and is also a Certified Integral Development Coach having completed a year long Professional Coaching Course accredited by the International Coaching Federation. She came to Occupational Psychology and Career Coaching as a natural second career having previously worked for the civil service, major broadcasters, large multinationals and professional partnerships in a range of roles including management and administration, H.R., project management and tax. She has also dabbled in teaching and gardening! Her specialism is in supporting people to understand themselves better and to make career and life choices that are consistent with their values and strengths. She has a deep compassion and empathy for people and is committed to helping them experience rewarding careers and lives. Nicola Hurton studied psychology during her successful first career as a violinist. After graduating, she decided to change career to work as an occupational psychologist. Since then, she has worked in a variety of research and consultancy roles in areas such as career development, management development and organisation development as well as working with individuals at Career Analysts for over a decade. Chris Williams has held a variety of corporate HR roles at board level in both large and small enterprises, leading initiatives to engage and motivate staff at all levels at times of change in their careers. More recently, he has worked with a number of career counselling organisations in the design and delivery of effective career development programmes. His in-depth knowledge of a variety of career avenues in both the public and private sectors has enabled him to provide wide-ranging career counselling advice. At Career Analysts he specialises in working with our corporate clients as well as delivering the Getting the Job programme.